Anxiety | Blog It Back! This morning I was barely awake and had no idea it was April Fool’s Day. I was caught by surprise when I was told “we need an exterminator. There were bugs coming out of the drain. It was so bad. We’re infested.” It was early in the morning and I fell for it and freaked out. Yup, I believed it because we’ve had sugar ants crawling on the counter every morning. And even though it’s been getting better I fell for it. Bugs coming out of the drain? Sure. Why not. It happens. My family was hysterical about it so I thought, “It must be real.” I freaked out. My family knows I have a bug phobia so they know how to get my attention. If they had put poop or vomit in the middle of the living room I would have laughed. But bugs? Being free of infestation is precious and sacred to me, so my family knew exactly how to fool me. OCD is a prankster. Not just any prankster but a superior one. As an OCD therapist, I hear about OCD’s pranks day in and day out. While these concerns represent what an OCD therapist is told in one week, there are even more ways OCD pranks people. But honestly, while all the pranks sound different, at the end of the day, at the end of the week, they’re all the same. You can have five different flavors of ice cream, but they’re all made with the same basic ingredients. With eyes closed, you probably wouldn’t even be able to identify the flavor. One obsession is no different than another. You’re feeding your OCD if you think otherwise. The details of the obsession complete a fantastic story. There is no better storyteller than OCD. The way to hijack your mind is not by facts. The way OCD captures your attention is by twisting the facts or telling outright lies. How interested would you be if you were listening to a story over and over again about the number of times a car’s turning signal was used? “I went down route 9 and put my turning signal on. Then I drove for about 300 feet and put on my right turning signal. In about 300 feet I used my turning signal again.” Blah, blah, blah. You’d tune out in one minute if this factual story was told to you. However, you would maintain an interest in the story if it became more fantastical. Such as, “When I made a left turn, I realized my turning signal might not be working. Up ahead a truck seems to be blaring its horn at me. Something is clearly going to happen and it’s not going to be pretty.” Not one word of this story is factual and yet, you are captivated. You’ve been baited with lies. OCD has a way of enticing you into paying attention. It avoids facts as much as possible. It prickles your nerve endings with lies, and like watching a horror film, you forget where you are and what is real. If OCD used facts to tell its stories, you’d be bored in no time and lose interest. So OCD knows it’s essential to make the story as real as possible. OCD instills people in your story who are precious to you. According to OCD, you must protect these people. Sometimes OCD claims you are a victim in the story and need protection. Other times you’re made out to be the villain. OCD pranks you into thinking you or others are at risk. OCD builds the story by creating villains and victims. Characters either seem vulnerable or possess supernatural powers. Where is the “action” taking place? This is the place where the plot thickens. It could be in your home, at work, school or at the playground. It could be everywhere or it could be what takes place in your mind. Sometimes OCD contains the story to certain settings, but other times OCD is portable and goes wherever you go. What is the plot? Where does the story begin? What is the trigger? Once triggered, what does OCD tell you happens next? And, how does this story end according to OCD? Will you be cast away, abandoned, imprisoned, annihilated, or left uncomfortable for the rest of your life? Or, is there no ending and that’s the problem. We don’t know how this story ends? Clarity cannot be found. Certainty isn’t obtainable? In any story, characters are either trying to solve the conflict or create a conflict. We usually witness conflict resolution at the end of a movie or a good book. When the movie ends without resolution we shake our heads in frustration. We are socialized to believe every conflict can be resolved. Early in our childhood, we are taught conflict resolution by parents and educators. We’ve been trained to solve the conflict. In OCD’s story, the conflict is the obsession. The resolution is the attempt to get resolution when there is none. The resolution solves the conflict. Every movie we watch or book we read resolution is expected. If there is no resolution we get frustrated. In OCD’s story, there is never a resolution but you’ve been tricked into thinking there is a way to get it. By believing there is a resolution you are tricked into a life of compulsions or avoidance. In OCD’s stories, the resolution is nothing more than a hoax. Don’t fall for it. Your OCD story needs no resolution. OCD is the greatest storyteller in the world. It uses five elements to create a realistic story that in reality is nothing more than a prank. Every day with OCD is April Fool’s Day. How to cope? Stop being surprised that OCD is going to try to prank you. Keep up your guard. Expect OCD to tell you stories. OCD never got the memo that April Fool’s Day occurs only on the first day of April. OCD is committed to prank you every day. If you expect to be pranked you are less likely to be fooled. Accept the fact that you have the greatest storyteller ever known to mankind, inside your brain. Its stories can bring highly intelligent people to their knees. It knows what is precious and sacred to you, and uses this information to captivate you and tug at your heartstrings. OCD is masterful at using vulnerable characters, the perfect setting, a horrifying plot, and a neverending conflict to lead you to a life of compulsions. Don’t bother focusing on the OCD story. It’s a hoax. You know what isn’t a hoax? Your anxiety. That’s real. Besides treating every day like April Fool’s Day you also need to accept that you have anxiety. You just do. No story needed to explain it. Commit to living your life with anxiety. Focus on your values. Live a priority-driven life. You can do anything with anxiety. You can do very little avoiding triggers or by engaging in compulsions. “I’m just trying to hold on. I’m falling in the dark below. I feel I’m falling in the big unknown. I heard this song sung by Sade and immediately thought of OCD. I know it’s how it feels to have OCD. When you think you’ve figured out how to beat OCD, you find yourself falling back into the big unknown. It feels permanent. Every single time the threat feels like the real deal. But lo and behold, you rise again. Life feels like a Yo-Yo: downward—upward—downward—upward. Having a bug phobia, when I see a suitcase in the closet I immediately fear there are bugs in the suitcase from a recent trip. In the past, I would have thrown it into the garbage. But I’ve progressed and even though I’m anxious, and have thoughts of infestation, I grab the suitcase, embrace it, and say “come and get me. Whatever happens, happens.” I jump into the unknown. 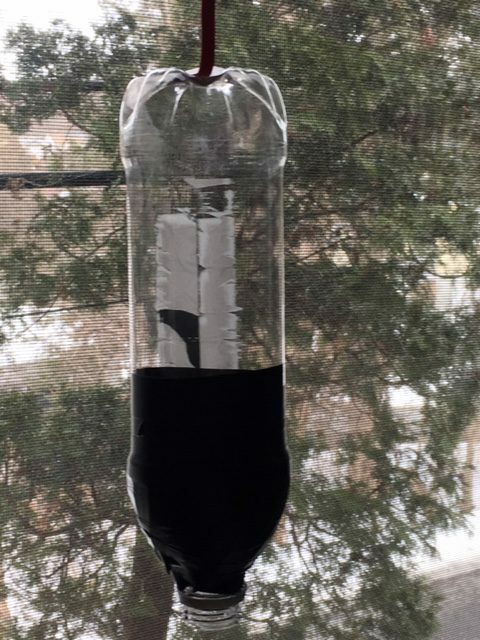 A bee trap is successful because the bees fly into the plastic bottle for the honey, but then won’t fly back out because there is black tape wrapped around the outside of the bottle near the exit. Bees don’t like the dark. If only they’d agree to be uncomfortable and fly through the darkness they’d be free. But they won’t do it. What do you wish you knew for sure? What is it that you’re trying to get to the bottom of? It’s at the center of your obsession. You won’t stop until you gain certainty. But certainty is unachievable. It’s like flying into a bee trap to find answers. You’ll do anything to get rid of the doubt. But now that you’ve been tricked and you’re in the trap how will you get out? You’re going to have to go into the big unknown. Will you do it? Or will you stay in the trap trying, and trying, and trying to answer the unanswerable? The fact that you have OCD means there is going to be something you will never know for sure. You can gain clarity, but at some point, a question will surface that has the potential to pull you into the trap. How to Stay Out of the Trap? I don’t know for sure. That statement might not be what you wanted to hear but it is the truth. There are many books about OCD and specialists who can tell you what to do to live well with OCD. But all of those ideas can end up being a trap. When you apply a therapy principle and get relief, you’re going to expect that principle to save you every time. And when it doesn’t, it causes you to spin. You begin to compare and contrast, “What did I do then that I’m not doing now?” You analyze why the thoughts are back. You are utterly surprised the thought patterns are there. And suddenly you’re in the trap. When you get a thought that disturbs you say, “good, there’s my thought. I want this.” Better yet, spend a lot of time trying to get disturbed on purpose. Create as much doubt as you can and tolerate it. Look for things, places, or people that trigger your thoughts and make you uncomfortable. Be willing to be uncomfortable and JUMP into the unknown! Jump! JUMP! JUMP! Why are you agreeing to jump into the unknown? There are no guarantees that you’re doing the right thing by surrendering to the unknown. There is no such thing as knowing anything for certain. No decision guarantees a specific outcome. No action guarantees a particular result. Who do you want to be and how do you want to spend your time? If you’re not answering this question when you wake up and throughout the day, you’re drifting aimlessly with no sense of purpose or self. You must commit to spending your time being the person you want to be, no matter what you are thinking or how you are feeling. Don’t drift. Jump. And don’t plug your nose when you do it! I use a lot of catch phrases with my clients so they can stay focused on the mission. 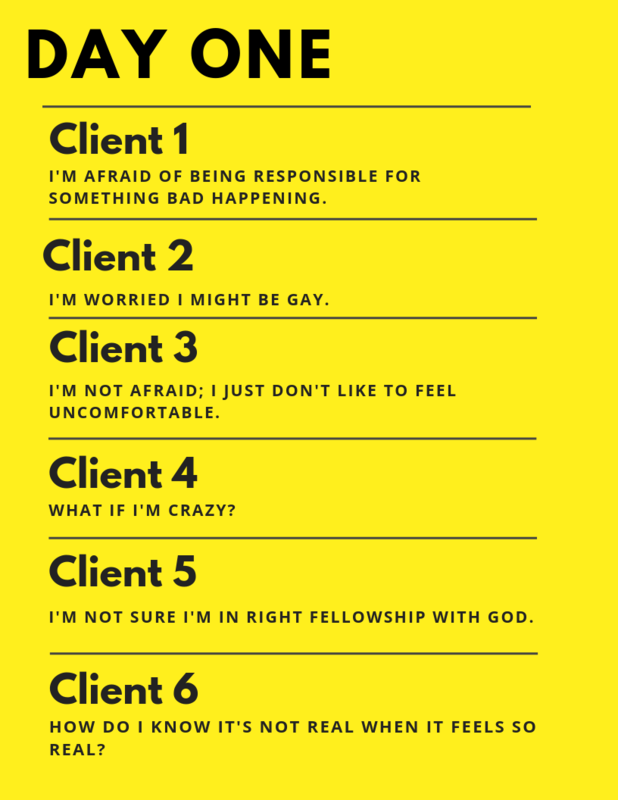 If you would like access to some of these phrases, just click BELOW and you’ll be able to print out these free posters. If you like these posters then you might also like my book, Gratitude, the Great OCD Sanitizer. If you use avoidance behaviors or mental neutralizing rituals to manage anxiety and obsessional thoughts, then you’ve selected compulsions as a coping mechanism. You believe compulsions have value. Naturally, if a coping skill seems useful, you’ll use it often. The more you use a coping skill, the more mindless or automatic the use of it becomes. Your brain perceives a threat or senses something unpleasant, your body reacts, and your brain selects a coping mechanism—and in your case, it’s often a compulsion. You employ a repetitive and well-oiled skill that has helped you cope in the past. You can employ this skill mindlessly—with no concern for consequences. Ta-Da…You’ve mastered a coping skill! Just because you’ve mastered a coping skill doesn’t mean it’s right for you. Even when you think it’s a healthy coping skill because an authority or role model told you to do it—it can be a compulsion. Yeesh! It’s a coping skill gone compulsive! Compulsions aren’t spontaneous. They’re learned. Through trial and error, and reinforcement a compulsion is born. It’s true; you are not your thoughts. You are your compulsions. You and your compulsions are joined at the hip. Two peas in a pod. But, let’s get this straight…if you are engaging in compulsions you CAN’T know who you are. Drop the compulsions, and you WILL find yourself again! Coping skills are employed for a reason—to achieve a goal. When you employ a compulsion, what is your goal? Ummmm, nope. That’s nothing but a hoax. Compulsions have no effect on anything but the quality of your life. Trick. deception. Fraud. Scam. I know you won’t argue that compulsions are all of that and more. Nevertheless, it’s how you cope. Peel off the many layers of why you profess to engage in compulsions. You will discover you perform compulsions as a way to cope. You use compulsions to fire up or extinguish a feeling. If you were willing to experience any feeling—all feelings—what would life be like for you? You’d be compulsion-free! If you agreed to coexist with your feelings and obsessional thoughts, there would be no need to neutralize an intrusive thought. No more mental acts. No more trying to get to the bottom of who you are. No more rewinding, replaying, or forecasting. No more fixing. No more controlling what you can’t. No more hypervigilance. If you were willing to experience uneasiness the quality of your life would significantly improve. I’m not saying you have to enjoy anxiety or fear. I’m just saying you’d be compulsion-free if you agreed to coexist with your thoughts and feelings. Tired of compulsions? Then apply the principles of Exposure & Response Prevention (ERP). But hold on!!! If you decide to engage in ERP, the reason you’re doing it is critical. What is your goal? 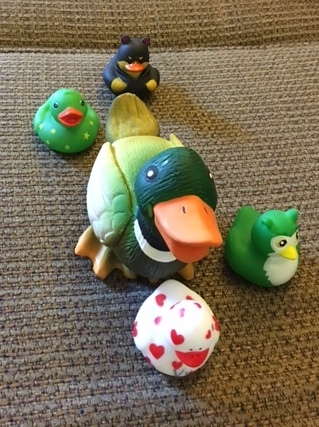 What do you hope to achieve through confronting OCD and resisting compulsions? Are you engaging in ERP to stop thoughts? Bzzzzz. Wrong. Are you participating in ERP to avoid feeling unsettled or anxious? Bzzzzz. Wrong. 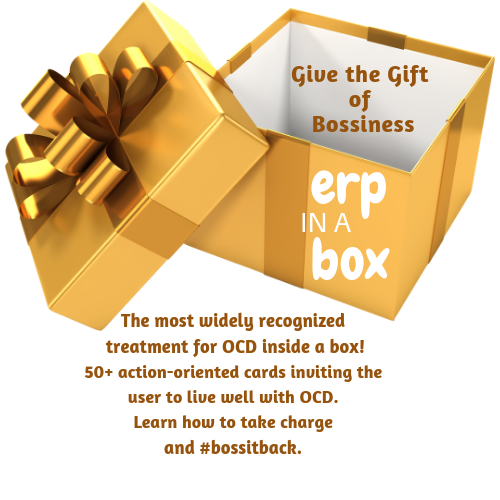 Are you employing ERP to get rid of OCD? Wrong! Are you engaging in ERP to fire up anxiety or an uneasy uncertain feeling? Ding ding ding. RIGHT! How else can you learn to tolerate an unpleasant emotion unless you hunt down ways to feel it? You can’t heal what you won’t feel! Let’s say that for an exposure exercise you put a big piece of spinach in your teeth and talk to people all day. What do you predict will happen? Think about your worst fears. Go for it! Don’t just predict someone will think “less” of you. Use your words! Use foul distasteful adjectives! Amplify, magnify, go into detail and elaborate what you fear could happen. Okay, I predict this will happen: People will be disgusted with my poor hygiene. They’ll accuse me of not bathing too. They’ll think I’m of low intelligence. I’ll be accused of never brushing my teeth. Someone will hand me floss and say, “Here, floss. Your teeth are disgusting.” Because of that spinach in my teeth, people will call me, a big fat pig! Oink Oink. Now that we have gone hog wild and been thoroughly descriptive with your predictions, it’s time to put the spinach in your teeth. Make sure it’s noticeable. You might think, “Maybe we should start with a small piece.” Not really. You can if you want. That’s traditional ERP; slowly working your way up to a higher level of anxiety. But then you’re not fairly testing out your hypothesis. We need to see if your predictions come true! We need to make sure the spinach is in plain sight! We need to find out what happens! Uh-oh…you’re losing your nerve, aren’t you? What are you having a hard time believing? Are you worried you can’t handle this experiment? I’m worried I will be looked down upon. I’m going to fret all day long if that spinach is in my teeth. I’ll be demoralized and just want to die. Do you feel like the anxiety is too much to tolerate? YES!!! A thousand times yes! This is a horrible idea! Let’s regroup for a minute. Do you want to live well with OCD? Well, then we need to test out your hypothesis! Be willing to find out what happens, and you can live well with OCD. Before you put the spinach in your teeth, I just want to point out that it’s important to engage in ERP for the experience, not the outcome. Be willing to find out what happens when you put your hypothesis to the test. In summary, what is your hypothesis? People will think I’m a disgusting pig. I’ll be cast aside. I’ll be alone for the rest of my life. I can’t handle all of this anxiety. I’ll have a panic attack and never recover. It’s been two weeks since our appointment. How’d you do? Awesome! Despite your predictions, you feel great about your efforts! So, did your prediction turn out to be factual? No one even seemed to care about the spinach in my teeth. There’s no way they missed it, but nobody seemed grossed out. Eventually, somebody pointed out I had spinach in my teeth, but it was no big deal. We laughed. Your predictions were false. There was no catastrophe. Nothing bad happened. Nobody called you a pig or accused you of not bathing. And, you’re happy about your discovery! The purpose of the exercise was to poke holes in your prediction. Did it work? But, if someone had called you a pig, would that be factual or an opinion? An opinion. I can’t be a pig. I’m a human. And by the way, only a person who is in pain would call you a name for having spinach in your teeth. A happy or caring person would have no need to bring you down. If someone calls you a name, we must have compassion for that person who must be hurting. Alright, but there’s more to ERP than trying to disprove a hypothesis. What if your fear cannot be readily disproven? Maybe you fear something that could happen months or even years from now. Or, what if you fear something where the outcome can never be known? Lesson #1 will be of little help to you. When does the exposure end? Hint: It doesn’t end when your anxiety comes down. It’s not so bad to look foolish, be stared at, ignored, or called names. It’s unpleasant but not dangerous. The purpose of exposure exercises is to discover you’re more capable of tolerating anxiety and unpleasant events than you thought. I didn’t think I could walk around with spinach in my teeth, but I did it! I didn’t panic! Did you keep the spinach in your teeth until your anxiety came down, or did you stay in the situation until your brain got an update about your ability to cope with the discomfort? I ended the exposure when my anxiety came down. It came down when I realized my predictions were false. How will this help you for obsessions that can’t be disproven? The lessening of anxiety because you recognized a discrepancy between what is predicted and what occurs is nice and all…but it’s not enough. There are many obsessional thoughts you can’t disprove. And many obsessions consist of questions that simply can’t be answered. But, I could probably do that spinach experiment again now that I know my anxiety will lessen. Yes, but will that be true at a later time or in a different context? Let’s not care so much about your anxiety lessening. If we place emphasis on reducing the anxiety, what kind of mixed message is that? That’s teaching you that you should be able to control your anxiety. And isn’t that what compulsions do? Anxiety is inevitable, a part of life and it can be tolerable. Accepting this as the truth is how you can live well with OCD. It’s important to stay with an exposure until you discover it’s okay to be anxious and have weird thoughts. Instead of trying to fix your anxiety through exposures, learn to be with or experience your anxiety. If I ask you, “what surprised you about this experiment” and you answer, “I was surprised by how well I tolerated the fear” then hurray mission accomplished! But, if you answered, “I was surprised nothing bad happened,” that’s probably not going to translate into long-term benefits. Nor will it be applicable for every obsessional thought. It’s about the lesson, not the lessening. It doesn’t matter if your anxiety comes down. It’s all about the experience, tolerating it and discovering it’s okay to step out of your comfort zone. You realize anxiety is unpleasant, not dangerous. You’re surprised by how well you handled the anxiety without a compulsion. You accept it’s important to coexist with unpleasant feelings and obsessional thoughts. You exceed your expectations about being able to continue an exposure even while feeling anxious and having obsessions. If you’ve achieved those objectives even though your anxiety is still high, the exposure is considered completed. Focus on the anxiety being tolerable; not the anxiety being fixed or controlled. You don’t even have to rate your anxiety. Instead, pay attention to your ability to withstand and tolerate anxiety and obsessional thoughts. I end the exposure when I learn that I can stand uncertainty and anxiety. I tolerate experiencing these feelings and admit the feelings are unpleasant, not dangerous. And third, I must reinforce my strength and courage by admitting how surprised I am. Only then do I stop the exposure? Wait, that last objective . . . How do I exceed my expectations about being able to continue an exposure? Step outside your comfort zone even more. Demand the anxiety become worse. Not only put spinach in your teeth but also part your hair differently. Talk to someone really important with spinach in your teeth. Adding a bit more discomfort to the situation, and the fact that you survived it, would have even surprised you more! You would have exceeded your expectations. One more time, what do you mean by “coexist” with my anxiety and obsessional thinking? Be a person not willing to be overcome by anxiety or obsessions. Accept that anxiety and weird thoughts will be a part of your life and that you must live with this fact and tolerate it. Do not try to eradicate or influence thoughts or anxiety. Despite your anxiety and obsessions, agree to live together. Remember, the practice of ERP is about the lessons, not the lessening! ERP is more effective than any other intervention. AND, research continues to find ways to improve the short and long-term benefits of stepping outside of the comfort zone. Incorporate all three lessons into your daily life and you can live well with OCD. I’m a big believer in ERP. But why stop there? Did you know you can beat OCD with your bones! I know, I know you keep hearing ERP is the way to go. Confronting fears changes lives. You even hear it from me. It’ll probably be on my tombstone. “The only way out is in.” But over the years I’ve learned there’s more to beating OCD than just confronting fears and resisting compulsions. ERP is a slow method of facing fears by taking tiny little baby steps. It takes time to climb a hierarchy and become desensitized. It’s true ERP helps you build skills and gain confidence. But, unless you’re committed and determined it can take too long. Recovery can be spotty–two steps forward and five steps backward. It’s not good enough to confront fears just so you can white-knuckle your way through life. It’s a complicated therapeutic process because in addition to confronting fears, you have to develop a very specific mindset–Mental Kung fu. You have to embrace doubt and hunt down anxiety. “I want this anxiety and I want it to be intense.” That’s easier said than done, Tammy. You have to see everything as a challenge and an opportunity to grow. Developing a growth mindset takes time and diligence but also a willingness to fail. That’s a tough pill to swallow, Tammy. The effects of ERP and Mental Kung-Fu are not immediate. Many people get frustrated and quit. It’s hard to do this kind of therapy when the fear seems real and believable. It’s just easier to avoid and give in to compulsions. In the heat of the moment, it’s so hard to remember what to do. You know what the treatment principles are but when push comes to shove they don’t come to mind. Are you feeling stuck? Do you keep forgetting to use your tools? Then you’re going to like this simple answer. People who are anxious have tense muscles. They are constricted all of the time. 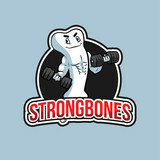 If you can rely on your bones your muscles will relax. If your muscles relax then your frontal lobe goes back online. You gain clarity and insight to the point where your weird thoughts are just that…weird. If your muscles are tight your limbic system is online. This is your default system. It’s the part of your brain that sounds alarms…especially false ones. It’s where you live day in and day out. You perceive danger when there is none. Danger! Danger! Danger! That’s the message tight muscles give to your brain. This puts your limbic system in a frenzy. What kind of day does this give you? Fight, Flight or Freeze. You’re doing whatever you can to avoid pain and get certainty. 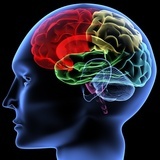 Your frontal lobe has to be functioning in order to beat OCD. Why? Because it’s the rational, logical part of your brain. If it’s functioning you will make good choices. You’ll choose to live your life and not feed OCD. When your frontal lobe is offline your limbic system goes online. You’ll easily fall for OCD’s tricks. All the cool stuff you ever learned goes out the window. No frontal lobe…no choice. You will automatically feed OCD. From now on put your trust in your bones. What bones? The video below offers a bit of humor but it’s also shared to remind you of all the bones you have in your body. Nevermind the joints. Look at the bones. You can beat OCD by being in a relaxed body. A relaxed body keeps your frontal lobe online. How do you get into a relaxed body? By letting your bones do all the work. This is NOT relaxation therapy. Relaxation therapy is something you set aside time to do. It’s guided imagery and tightening and releasing muscles. Relaxation therapy doesn’t teach you to self-regulate anxiety. This is NOT meditation. Meditation is something you set aside time to practice. It also requires frontal lobe functioning. Many people with OCD have a terrible time meditating. That’s because the limbic system is online which makes you too hypervigilant to meditate. Using your bones will automatically put you in a “relaxed body.” The effect is immediate. Using your bones is done in real time. It’s not something you stop to do or set aside time to practice. Using your bones is done “on the go.” You do it the same time you are conversing or performing activities of daily living. This isn’t relaxation therapy, mindfulness or meditation. It’s not any kind of therapy. Learning to rely on your bones is part of normal human development. I think anxiety exists to help you self-regulate and choose a path that leads you to your higher self. But, seeing one’s anxiety as helpful is a hard sell. Release your muscles and rely on your bones. It can only help to add this to your toolbox. “But, Tammy this is very unlike you to talk about relaxing. Whenever I tell you I’m anxious you always say, “Good. You need the practice. You’re always telling me to go find ways to be anxious.” True. But how many of you agree with me? How many of you want to practice being anxious and hunt down triggers? I’m not opposed to anything if it sets you free and changes your life for the better! A person who knows everything learns nothing. I’m not going to stop learning how to beat OCD. I will spend my life offering you hope. Besides, using your bones isn’t about relaxing. It’s simply about letting your bones do all the work. Look, you either see anxiety as a perpetrator or a friend. 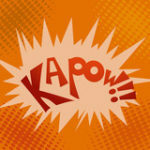 If you see anxiety as a friend then you use KAPOW. If you see anxiety as a perpetrator then I need to ask you something. Have you had enough??? If you’ve suffered enough you’ll start using your bones. It’s simple. Every single time you use your bones the quality of your life improves. It’s impossible to experience stress when you use bones instead of muscles. Every time you use your bones you’re restoring frontal lobe functioning. You immediately gain confidence and insight. If you see anxiety as a perpetrator then why wouldn’t you use your bones to eject it from your body? You can’t possibly be suffering enough to NOT try this! All you have to do is set your intentions to rely on your bones, not your muscles. It’s simple but hard. It’s hard because over the years you’ve put all of your weight and all of your stress on your muscles. It’s time to interrupt your default system. Let’s give your bones the job of carrying the burden, not your muscles. Whether you are standing or sitting imagine that your “sit” bones are holding you up. If you’re standing your knees might get wobbly. It’s ok just adjust a little. If you’re sitting you might feel a bit floppy–like a wet noodle. It’s okay just adjust a little. Do this in real time. While you are listening or talking to someone put all your weight on your sit bones. Whatever activity you’re engaged in trust your bones not your muscles to help you complete the task. But, Tammy doesn’t this require frontal lobe functioning? How will I remember to do this if my frontal lobe is offline? This takes no more than 5 seconds each time you do it. There’s not a lot of thought put into using your bones. In fact, there’s just enough space between a trigger and your response to remembering to use your bones. This does not require deep thinking or full body attention. In the space shift your weight to your bones. Even if you forget after you’re triggered, you’ll probably notice how tight you feel. 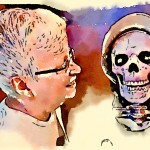 Do it then…shift responsibility to your bones. It’s also possible to use your bones in the space before a trigger. But, Tammy if I use my bones before or after a trigger, which interrupts the anxiety, am I not neutralizing the anxiety which you always tell us not to do? If you’re not confronting your fears and not embracing anxiety AND still avoiding and using compulsions AND white-knuckling your way through it’s because YOU’RE MAKING YOUR MUSCLES DO ALL THE WORK. Soldiers with PTSD tried Exposure Therapy with terrible effect. When they learned to trust their bones and release the muscles from such a heavy burden…they got better! I’m not telling you to use your bones to neutralize anxiety. This is just normal human development. It’s what the rest of the population without an anxiety disorder does! You can be on the same playing field as everybody else! I’m still telling you to confront your fears. I’m still telling you not to feel sorry for yourself because you have unwanted intrusive thoughts. I’m still telling you to not argue with OCD. I still don’t think OCD or anxiety is a perpetrator…But, I think you do. Even if you use your bones you’ll still have weird thoughts. You can’t control what you think. You can’t control what triggers you. But, you can put your attention and energy where you do have control…You can shift your weight to your bones. This is something you control! Take control all day long! It takes no more than 5 seconds. It’s done in real time, on the go. Every time you do it your life improves. So do it all day! 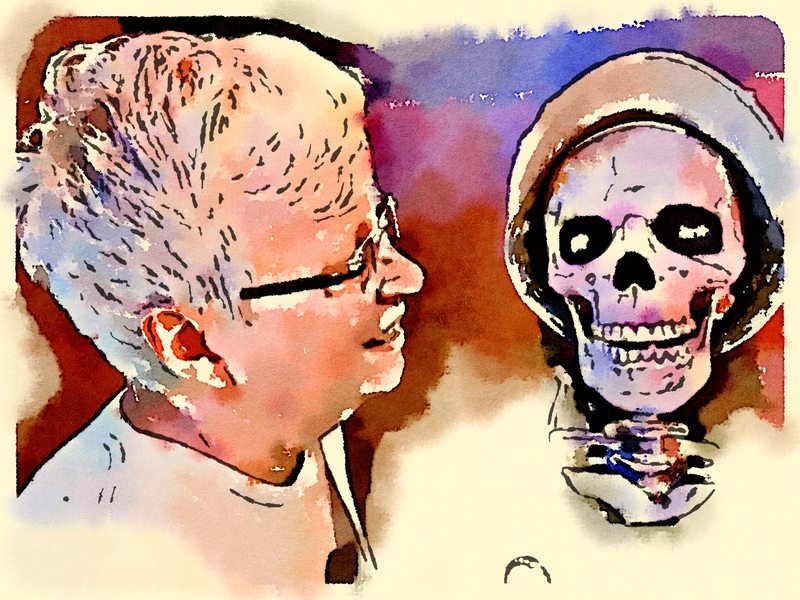 Dem bones, Dem bones…Are you going to use them and rise up? Is it Okay to Use Distraction to Resist a Compulsion? Is it okay to use distraction in order to resist a compulsion? If you don’t know the answer to this question, keep reading. If you think you know the answer to this question…keep reading. The argument for distracting is twofold. 1.) First, distraction can be used to delay the compulsion. When the urge to perform a compulsion or mental act arises you shift your attention away. If you delay the compulsion long enough, it’s believed that you might forget all about the urge to do the compulsion. But, if you give in and perform the compulsion, at least you put it off and found a way to do it by distracting. 2.) The second purpose for using distraction is to avoid anxiety. The evaluation of anxiety, in this example, is that it’s crippling and therefore should be avoided. Stay busy and try not to have any downtime. If while trying to push through a fear you become overwhelmed and panicky, use a distraction to get relief. So…Is it OK to Use Distraction to Resist a Compulsion? At this point, it’s important to note there is plenty of research that proves distraction lessens the limbic system (the fight, flight, freeze) response probably more than any other form of emotional regulation. That’s why many talk therapists encourage clients to distract from their anxiety by hyper-focusing on the minutia of the environment (using the five senses.) Another technique often taught is to hold an ice cube until the anxiety goes away. Yet, studies show that focusing attention away from an unpleasant feeling/thought reduces the intensity of the suffering. Likewise, the innovative people at treatmyocd.com have created an app called nOCD, a free mobilized personal treatment app. One of its features is an “SOS” button to assist with distraction. 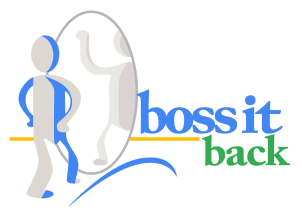 I downloaded the app and found it to be an excellent resource for people with OCD, especially for those self-directing their Exposure & Response Prevention(ERP) therapy. 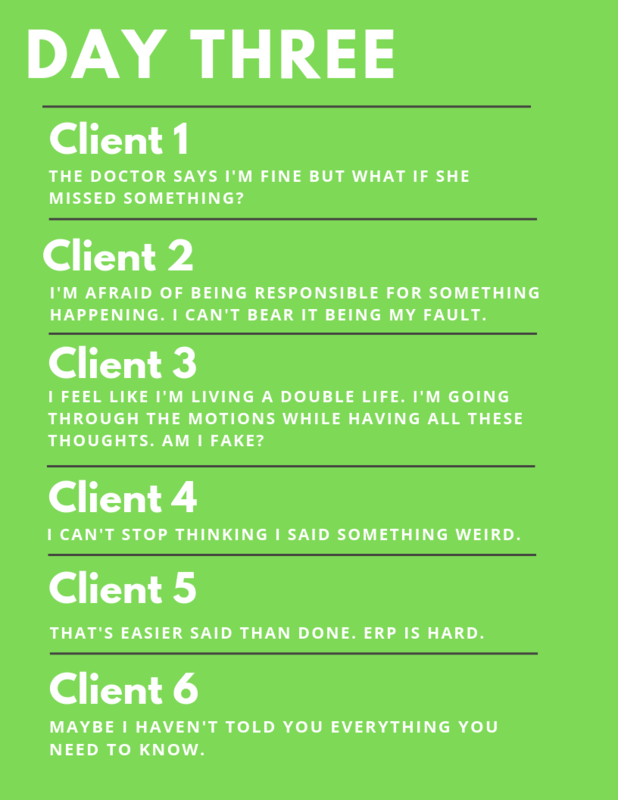 It’s hard enough to try ERP with a therapist but think about the people who have no access to an OCD therapist. However, I was concerned about the “SOS” button. Afterall, OCD therapists are discouraged from teaching distraction. Is it ok to use a distraction to resist a compulsion? You’re only learning how to avoid or delay the anxiety. New pathways won’t be created. Confidence levels will decrease. Eventually, you’ll find yourself face to face with whatever drove you to distraction in the first place. At some point, you’ll run out of the ability to distract. What will you do when there’s no way to distract? You’re only good at what you practice. Focusing away from the anxiety means less attention on the opportunity to grow and more attention on living just above the surface. Distracting may slow down the healing process and for some people, they can’t afford to waste any more time. OCD has already taken too much. I emailed the people behind the app, who by the way have all personally lived with OCD and know exactly what it feels like to live with it each and every day. Their opinion matters a lot to me. I understand your approach and agree that distraction isn’t the answer, but it obviously depends on the person. The SOS feature has really helped people in times of intense suffering and continues to help people get through severe OCD episodes. I really like what you said about teaching the brain that anxiety at all levels is not only tolerable but wanted. In my personal experiences, really encouraging the anxiety and wanting to feel the intense anxiety can actually make the episodes less intense. The app saves/tracks data. Makes it so easy to share evidence-based info with your therapist or others who want to learn more. It’s also important to highlight that each of our team members has personal experience with the current treatment system: it’s very difficult to find a qualified OCD specialist, it’s extremely expensive, insurance doesn’t usually help much for mental health issues, etc. I think we’re all on the same page. There are people who haven’t <<yet>> learned to just go ahead and experience the anxiety. 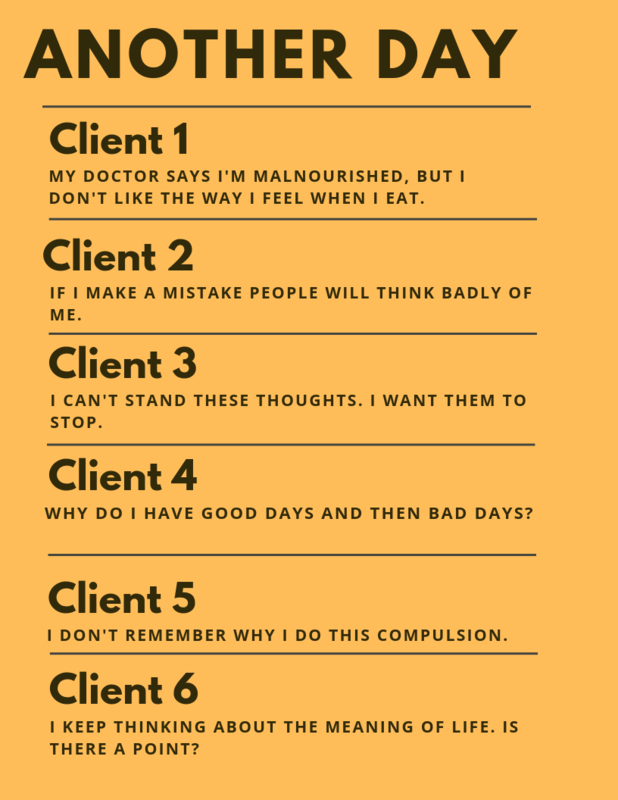 Thankfully, nOCD can help people get through intense anxiety with it’s SOS feature. There’s nothing wrong with getting a reprieve from something you don’t know how to manage. When you push the SOS button it asks if you’re struggling with an anxiety-producing thought or a strong urge to do a compulsion. The app helps you to face your fear or resist a compulsion. But, if the anxiety gets too overwhelming, hit the SOS button and the app will try to help distract you. nOCD does far more than help with distraction by the way. The app not only teaches you how to use ERP but also takes you through each step. A video lesson is included and step-by-step guidance is given. nOCD collects and saves all your effort and provides a visual of your progress. This app is a great in-between session tool for people in therapy. For people who don’t have a therapist this app can take you through the same steps a therapist would. So…Is it OK to Use a Distraction to Resist a Compulsion? Every day with OCD is April Fool’s Day…Be ready! Avoiding anxiety isn’t a drill that develops a skill. In order to beat OCD, you’ll need to develop the skill of allowing weird thoughts and uncomfortable feelings. You don’t beat OCD by distracting. But, not all distraction is bad. I’ve created a Puzzle Book that is in Beta testing. I designed it to be a mild exposure exercise so that people with the doubting disease can confront their dislike for uncertainty. Some of the people testing it for me have already commented that time flies when they work on the puzzles. The puzzlers expected an exposure exercise with a bit of anxiety. 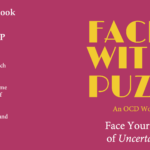 Although this puzzle book is by far the least anxiety-provoking of the 10, I didn’t anticipate it would be such a pleasant distraction! The point is there was no intention to be distracted. Sometimes an exposure exercise ends up being easier than thought. It makes it easier to go on to the next exposure. Always build momentum. Deliberately hitting the “distraction” button when you feel overwhelmed needs to be seen as a stepping stone, not a crutch. If you intentionally distract to avoid and continue this strategy…well, read the disadvantages above again. If you hit the “distraction” button, learn from it. Maybe you tried something too hard. Find an exposure exercise that challenges you–but doesn’t cause panic. Be self-reflective about your motive for distracting. If you choose to distract, be mindful of what you’re doing. If life distracts you…if there are moments you forget you even have OCD…that sounds wonderful to me. Please feel free to add your thoughts about distraction in the comments. As always, I’ll keep your name anonymous. Are you addicted to compulsions? Forget Compulsions, Try This Instead! Resisting compulsive behavior is one of the hardest parts of your recovery. Finding the willpower to resist compulsions requires energy you don’t think you have. But, it’s no mystery where that energy can be found. You’ll find the willpower to resist compulsions eagerly awaiting you in two places: Your mindset and your body. be all better or getting better? stay in the comfort zone or be challenged? be all-knowing or always learning? avoid anxiety or seek it out? have certainty or live with uncertainty? If you chose answers mainly in the blue then you have a Success Mindset. Your agenda or plan for daily life is fixed and rigid. You care deeply about failure, inadequacies, and outcomes. What people think of you matters very much. You tend to be self-loathing and easily frustrated with what appears to be a lack of progress. Everything is seen in all or nothing terms. The path you’re on always needs to be definite, clear and unmistakable. If you chose answers mainly in the green then you have a growth mindset. You’re curious and flexible about daily life. If something doesn’t go as planned you easily adjust. Your focus is on finding hard challenges and opportunities for personal development. The process of getting from A to B is more important to you than the outcome. Celebrating your victories is not something you do enough. Practicing gratitude and counting your blessings is something you do often. You prefer daily tasks and life experiences to be effortful–full of variety and challenges. A person who deletes 24,000 emails out of 26,000 (egads something I need to do!!!) focuses on the effort it took to sit there and do that! She doesn’t become discouraged that the inbox is still full. It’s harder to find the willpower to resist compulsive behavior if you have a success mindset. Drills develop skills. Appreciate the value of experiencing anxiety. It gives you an opportunity to practice your skills. You get good at what you practice. If you’re avoiding anxiety, you won’t get good at experiencing it. Hunt down anxiety. Go find it and experience it. Be curious about your anxiety. “Hmmm, it’s so fascinating how my body can put butterflies in my stomach. I wonder how my body does that.” Focus on the experience of anxiety, not the story about why the butterflies are there. How not why. Do your values need a realignment? What is it that you value? A sense of security or experiencing something new? What do you care deeply about? Being with loved ones or avoiding anxiety? Values drive behavior. Make sure your priorities represent your values. Don’t get caught up in OCD’s story about something bad happening. To focus on the story is nothing but a trick! This is about your anxiety. Stay focused on the true issue. You don’t need compulsions. You need experience. You can use your body to resist compulsions. You aren’t the boss of me! Stand up like a superhero. Look OCD in the eyes with your hands on your hips. Chin up. Shoulders back. Don’t contain all the energy from anxiety inside one area of the body. If you clutch your chest, cover your head with your hands or make fists where can the anxiety go? Stay with the experience of anxiety and away from the story about something bad happening. The Physicality of Anxiety: Discover where the sensation of anxiety is located in your body. Ask your body, “What part of you wants my attention right now? Where in your body do you feel the anxiety? Perhaps it’s unclear. Maybe it’s puzzling, numb or fuzzy. Stay focused on finding the sensation. Keep hunting down the anxiety in your body. Your OCD story is irrelevant. We’re not doing exposure exercises right now. This exercise is not about your story. It’s about anxiety. Describe the sensation of anxiety in great detail as if trying to get someone else to understand what it feels like. -Is there any tightness or pressure? Where do you feel it? -Does your skin have any pain, tingling, prickling, twitching, itching? Where on your body is this occurring? -What is the temperature of the sensation? -Is there any motion and if so what is the speed at which it is traveling? -Can you taste or smell anything? -Does this sensation have any particular size, shape, weight, texture, or color? -Can you hear any sounds in your ears like buzzing or ringing? Once you’ve described the sensation, get curious about how your body creates these sensations. Don’t ask why. Ask how. Curiosity is the opposite of anxiety. When your mind tries to wander to an OCD story, keep bringing your focus back to the physicality of your anxiety. Focus. Notice. Focus. Notice. Experience it fully by describing it and getting fascinated. Let this sink in: Just because you’re anxious when you resist a compulsion doesn’t mean something is wrong. Experiencing anxiety is (unfortunately) not what you’ll usually be told to do. But truly, the only way out is in. You can’t master anxiety by avoiding it! You can’t be limp when it’s time to resist a compulsion. Rise up like you mean it! Be firm. Stay with the anxiety not the story. Experience the physicality of anxiety. Here, my little friend, I know the way out! You’ve probably discovered OCD can be very convincing. What a brilliant mind OCD must have. What must it take to convince you to buy into doing compulsions? OCD has got to be very perceptive and calculating. Wouldn’t it be something if you could be just as cunning and sly as OCD? Well, I’ve found something that might just help. A lot of people write books about OCD but did you know OCD has written books too? They’re very hard to find and that’s why I was so excited when I stumbled upon OCD’s Playbook of Compulsions. At first performing compulsions is awkward and hard to get just right. But with practice, you get really good at them and to not do them takes you out of your comfort zone. A compulsive behavior can be invisible or observable. Most everyone is familiar with observable compulsions and there’s really no limit to what they entail. Which compulsions do you tend to perform? It is especially important to identify or target mental compulsions. You’ll mistakenly think you have pure “O” if you don’t. Don’t overlook mental acts. Make sure you identify mental compulsions because if you don’t how will you know what to stop doing so that you can recover? Which mental compulsions do you perform? You get good at what you practice. Practice compulsions you’ll get good at doing them. You’ll get so good they’ll come rather easily and eventually turn into a hard habit to break. If you practice feeling uncomfortable, you’ll get good at it. Everything you ever wanted is on the other side of fear. To get there you’ve got to go through it not around. There is no supernatural force making you do compulsions. You choose whether or not to do a compulsion. What you think about is not your choice. You can’t choose your thoughts but you can choose how to react to your thoughts. Nothing happens unless I say it can happen! You choose compulsions to feel more in control. Although some compulsions were started so long ago that they’ve become more of a habit than an urge, you’re still choosing to do them. When I put the cap on the toothpaste there’s not a lot of thought behind the behavior. It’s really a habit. But, I still have a choice whether or not to put the cap on the toothpaste. We are always in control of the choices we make. Sometimes we’re just not being mindful enough to choose wisely. You started compulsions to feel a sense of control and now you have less control than ever. You might proclaim that you perform compulsions to save yourself or somebody from harm. But, that’s just a story. Like any OCD story, it’s irrelevant. What it all boils down to is that you don’t want to feel uncomfortable. Follow any OCD story to its end and apparently, the result is catastrophic as you will either be destroyed or abandoned. If I get a cold or flu, I’ll miss out. I have to sanitize. If I miss out I’ll get behind. If I get behind I’ll fail miserably (destroyed) and end up alone (abandoned). These horrible thoughts make me feel like a bad person. I’ve got to stay away. If I act on these thoughts I’ll feel guilty and won’t be able to live with myself (destroyed) and no one will ever love me again (abandoned). I don’t think I’m good enough. I’m so inadequate. I have to double triple check everything. If I make a mistake I’ll be held responsible. I could lose everything (destroyed) or be laughed at (abandoned). You started compulsions to avoid discomfort and now you’re more uncomfortable than ever. In OCD’s Playbook of Compulsions, there is another chapter called, “How to Manipulate the Reward Center of the Brain.” It goes into great detail about how OCD manages to get you addicted to compulsions. In a nut shell, the reward center in the brain reinforces the compulsive behavior by releasing a happy juice called, Dopamine. Pleasure becomes associated with the compulsion. You become addicted to the compulsive behavior. You become addicted because the dopamine doesn’t last long and you crave more of it. How to get it? Perform the compulsion again. C’mon, repeat it. Once more, repeat it. Last time, repeat it. The relief doesn’t last long. That’s how you get hooked. OCD is like a drug dealer and entices you with its promises of feeling good. The idea is to get you to buy without even thinking about it. Once you’re hooked the price just keeps increasing. You started compulsions to feel good and now you’ve never felt worse. Compulsions are performed to gain a sense of certainty. Except OCD is a fraud and can’t give you certainty. Nobody on this earth has certainty. Did I turn off the faucet? If you check you won’t feel very confident the next time you use the faucet. When you check you give your brain the message that you can’t be trusted. If you take a picture of the iron unplugged and bring it to work with you the picture tells you that you left the house with the iron unplugged. Unless of course OCD messes with you and makes you doubt what day you took the picture. You’ll need to take a picture every time you use the iron because you’re giving your brain the message you can’t be trusted. In fact, you’ll start to doubt whether you turned other appliances off and take pictures of them too. Soon you’ll be dragging photo albums to work. You started the compulsion to get rid of doubt and now you have more doubt than ever. Everything you think a compulsion will do for you–expect the opposite to occur. If you are willing to experience uncertainty and doubt (discomfort) there is no need for a compulsion. There is no need to avoid. 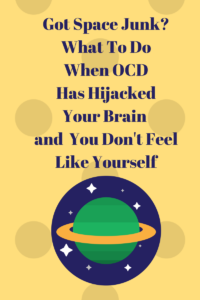 Very, very few people with OCD can go cold turkey and “just knock it off.” So many times people have said to me, “I’m just going to stop all of it. Right now. No more compulsions.” They mean it with all their heart. And then they walk to their car performing compulsions. If you want to know what it feels like to just knock it off and go cold turkey, it’s like dumping all kinds of poison in a sess pool and sitting in it. Taking your hands and putting the slop all over your face and body. Breathing it in and doing nothing to save yourself. If you sat there long enough, believe it or not, you’d become desensitized. But, just like any kind of sobriety, the urge will return. You’ll still want to perform a compulsion. There’s more to being compulsion-free than just stopping. It’s “whatever” therapy! Talk to your OCD in a nonargumentative manner. “Yup, maybe that will happen. Time will tell.” Don’t reassure OCD. Instead, shrug and say “This could be unpleasant. I’ll just have to find out.” It’s all about the “whatever.” ¯\_(ツ)_/¯ If you can trick your brain into thinking you’re smiling with a pen sideways in your mouth, you can trick your brain into thinking “whatever” with a shrug! Build a hierarchy. Resist the easiest compulsion first and keep resisting until it no longer bothers you to resist. Then, like climbing a ladder, resist the next hardest compulsion and the next hardest and so forth. Set your intentions to provoke OCD. Confront a trigger you’ve been avoiding. While confronting the trigger refuse to do a compulsion. 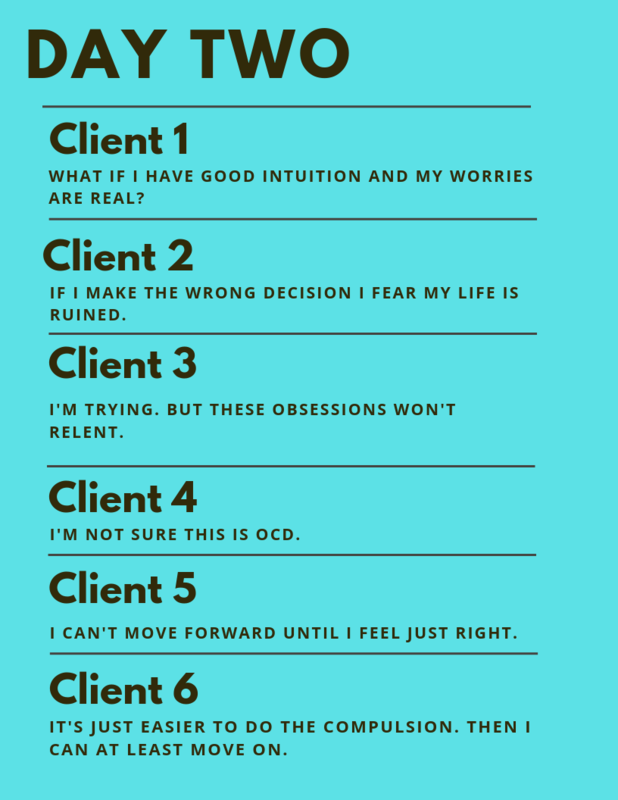 Talk to OCD as described in #1. Once this trigger no longer bothers you, move onto the next more difficult trigger. Easiest first, then hard. If you give in and perform a compulsion, go back and confront the same trigger again and again until there is no compulsive behavior. If you’re stuck, maybe there’s an easier trigger that you skipped or need to go back to. Don’t stop ’til you reach the top. Build momentum. Keep moving up the ladder of challenges. When it gets easier, ask yourself, “How can I make this harder?” Remember, climb the ladder while always refusing to do a compulsion. Shift into challenge mode. Wishing you did not have OCD or have certain thoughts is of no use to you. Wishing causes more suffering. It’s important to see your anxiety and thoughts as a challenge–an opportunity to practice your skills. This is no time to play the role of a victim. You don’t have to like anxiety but you do have to want it. Accept responsibility. If you give into a compulsive behavior, admit what you are doing. No excuses. Own it. Name it. Keep away from the “story” of why your OCD tells you to do the compulsion. “I’m choosing to feed my OCD right now. I know this will make OCD stronger. I’m avoiding discomfort and that’s the only reason why I’m choosing to do this compulsion.” Get this message to your brain every single time you do a compulsion! Applying these principles will keep you compulsion-free. It’s a slow and difficult place to start, but once you pick up some momentum it gets easier and therefore, goes faster. Rather than shocking your brain, you are rewiring it. This takes time! It takes time because you are training your brain how to experience anxiety. People with OCD benefit from the very effective systematic method of resisting compulsions. Set reachable goals and make little changes over a period of time. With each success, you will grow more confident and more tolerant of anxiety. It’s time to learn how to experience anxiety without a compulsion. You can get started today! The first step, of course, is to identify each compulsion. You’ve got to know what you’re resisting, in order to resist! For a long-term effect, commit to a systematic plan to stop compulsions. Include all of the above seven principles in your plan. Going cold turkey has little to do with staying compulsion-free. Check back for the next post which will explain the difference between an observable compulsion and a mental compulsion. It’s important to know the difference because mental compulsions can be very sneaky! If a Compulsion Makes Me Feel Better, Why Would I Stop? Can You Promise If I Resist It Will Help? Is it Okay If I Use Distraction to Resist Compulsions? How Do I Find the Strength and Willpower to Resist Compulsions When I Don’t Have the Energy? Has OCD Made You Forget Who You Are? The thing about OCD is that it comes and goes. It rolls in from the sea and eventually goes back out. When the storm arrives though, it’s brutal. You forget who you are. And it feels permanent. It’s such a desperate feeling and can easily make you forget about everything else that matters. You become disconnected from the core of who you are. Your sense of self is ruptured. The only thing you feel attached to is your worst fear. In an OCD storm, you can’t stop thinking about something very troubling. The thought can’t be controlled, and yet, with all your might you try with compulsions or by avoiding. This only turns the storm into several hurricanes. You lose sight of the “big picture.” You’ve lost your compass and can’t see your way out. There’s more to this storm than what meets the eye. But the eye of the storm has swallowed you up. Without the “big picture” view, you forget that it gets better. Your mind can’t seem to hold on to anything other than fear. Everything else in your mind is space junk. It feels like you’ve regressed to the mind of a child. Your inner voice becomes catastrophic and self-critical. You know the compulsions are useless, but you can’t seem to resist. You know that avoiding isn’t going to change anything, but you do it anyway. You’re so frustrated with yourself. The choices you keep making over and over don’t reflect your wisdom and life experience. It feels like your brain’s been hijacked by a younger version of you. You feel disconnected. Hyper-alert. Terrified. Ready to run. Ready to freeze. Angry with no will to fight. Hopeless. Helpless. Shameful. Compulsive. All of these feelings and behaviors helped you survive something in the past. We must honor the fact that they served you well once upon a time. A time when you were younger and less experienced. For example, when you were a child being afraid and freezing-up probably kept someone you know or even someone on TV out of harm’s way. This might not even be a memory you can recall. But, now you’re more experienced and know to assert yourself and take action. Maybe you experienced a traumatic event in your younger years and felt guilty about it. It was a useful feeling then because it kept you out of a deep depression. But, now you’re older and wiser and guilt is no longer age-appropriate. But, because you used it so much when you were younger, you’re still using it now. We honor these feelings that helped your younger self-survive difficult times. But they’re holding you back now. These emotions aren’t congruent with who you are today. You’re an adult with life experience. Everything that happens is an opportunity to learn. Everything you face opens up a possibility for you to find your higher self. Since then you’ve grown older and wiser. You’ve gained a lot of life experience. It’s no longer age-appropriate to handle anxiety the way you did as a child. In your heart of hearts, you know this and that’s why you don’t feel like yourself. Can you bring the older, wiser part of you forward to deal with the anxiety and weird thoughts? We can’t let a child drive the boat through this storm. There’s an older, more experienced version of you who knows a lot more about riding the waves and maneuvering all the twists and turns. Let’s get the right “wo/man” behind the wheel. After all, which part of you is better equipped for the job? 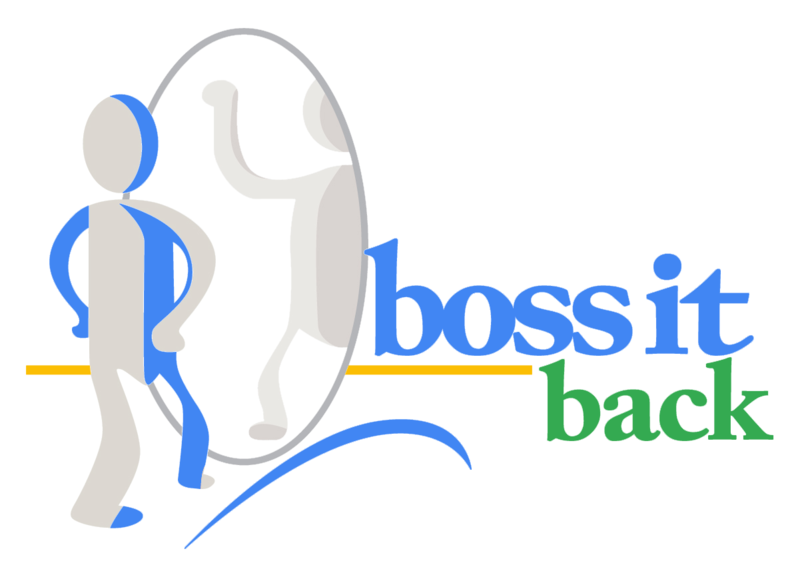 Remember a time or situation when you were in charge, taking care of business like a pro. What did that feel like? What are the positive thoughts that go with that part of you? What does that feel like in your body? How are you standing? Where are your arms? Is your head up during these times you are most proud? What happens to the child when you take the wheel? Naturally, the child stays on the boat. No part of you can be disowned or thrown overboard. Remember, this is a child who doesn’t even know how to doggie paddle yet. 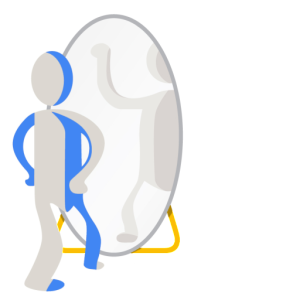 Two Ways to Visualize Your Older Self Taking Charge. Whatever is causing the storm, whatever the storm is about–doesn’t matter. If you were truly at sea and you suddenly found yourself in the middle of a storm, would you be trying to figure out what it means? What caused it? Why it’s happening? Did you do something wrong? Did you overlook something? No! You’d be focused on doing your best to weather the storm–how to withstand it. You’d be focused on outlasting the storm. And, the child would not be allowed to steer the boat. 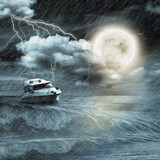 Do you want a scared child steering in a storm or an experienced, wise “sailor” who has ridden huge waves before? An OCD storm comes down to one thing: The storm will be an experience you can draw from in the future. No matter how bad it feels, an OCD storm comes down to one thing. It’s about the opportunity and challenge of weathering the anxiety and resisting the young child’s urge to avoid or do a compulsion. An OCD storm is a strangely wrapped gift. It doesn’t look or feel like a gift but give permission to learn from the storm and you’ll soon discover something amazing about yourself. The next storm will be easier because you’ve gained experience from the last one.